From real estate development to property management, we’re crafting neighborhoods, businesses and communities. Industry has always been the powerhouse of the American economy. And in an ever-competitive global market, industrial clients are seeking new ways to thrive. Global competitive advantage, however, does not just come from better machines, software, or intellectual property. It’s about leveraging talent. And to access talent, companies have to be close to it. Starting in the earliest stages of a project, Rockford helps owners extend their capacity with facilities that give them room to grow. Like the manufacturing industry itself, the basic components of building are often not so difficult, but the assembly and sequencing is critical. Once a project starts, there is no time to lose. Having never missed an end date, we establish momentum through detailed initial planning and a comprehensive cost control system. We ensure clients know what they’re getting, and what they’re paying for, at each step in the process. Daily, onsite supervision and regularly scheduled reviews mitigate any potential problems to keep the process moving forward. 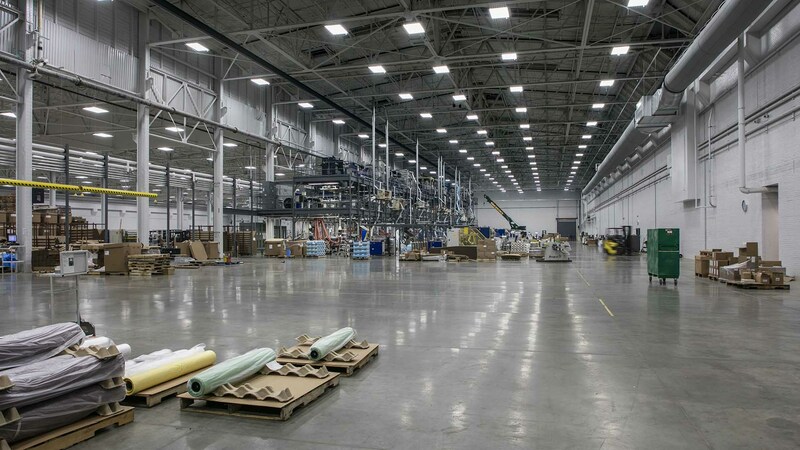 At Rockford, we’re building advanced manufacturing facilities for the drivers of America’s economic engine — safely, consistently, cost effectively.